Order the book by clicking the button above. Price is $12.99 + $5.00 shipping. Become “The Inspirational Parent” to help guide and mentor your child for a lifetime! It’s what they all want, even if they act like they don’t and push you away. When your child was born I bet you would dream of what they would become. I bet that you would stare at them for long periods of time, envisioning the extraordinary human being that they would turn out to be for the world. Do you remember when they used to sit there and ask you question after question wanting to know, wanting to learn, wanting you to teach them and guide them? What happened to that kid? Most kids go through a natural process in their pre-teens or teenage years when they stop asking those questions, when they stop looking to you for answers, when they start to challenge you on things, while seeking to discover their own independence, and personal power. “The Inspirational Parent” is a book that is written to remind you there are interpersonal tools which already exists within yourself to create a deep, meaningful and connected relationship with your children. One that fosters a higher level of trust, giving you the platform to be effective in your parenting. One of the most rewarding experiences as a conscious parent, is knowing you are able to inspire and empower your children to create an extraordinary life for themselves. Order Alex Urbina’s new book, “The Inspirational Parent”! You do not need a PayPal account to order. Price is $12.99 + $5.00 shipping. It shows you how to get back to becoming a powerful influence in your teenagers life. It helps you understand how to shift your parenting style at the right time to always stay prevalent in your child’s life. It will make you realize how important you are to the fundamental growth of their emotional intelligence. It gives you real life coaching instructions to start implementing immediately, to cause a shift in your parenting and your results. It’s designed to wake you up consciously, and help you get the insight you need to access and be the extraordinary parent that is already within you. It helps you learn the specific things that kids need from their parents in order to learn, discover and growth into the powerful, responsible, leaders in their own life. It’s guaranteed to keep giving you more and more clarity and purposeful direction in your parenting commitment; every time you read it. Order Alex’s new book, THE INSPIRATIONAL PARENT! Order the book by clicking the button below. Price is $12.99 + $5.00 shipping. 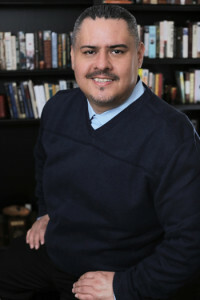 Alex Urbina is a veteran Teen and Parent Strategy Coach, Life Advisor, and Personal Development Teen and Parent Trainer; he takes his twenty plus years of experience and serves you an array of wisdom and enlightenment to help you become the “extraordinary parent” that you were meant to be. In this book you will find compelling insight, and inspirational stories from conscious teenagers and parents, with additional input from some of the best Transformational Trainers and Life Coaches in the personal growth and development industry. Unlike other parenting books that offer advice on the mechanics of parenting, i.e. 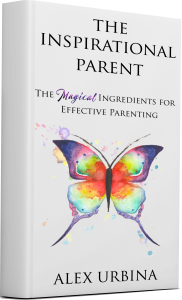 the functionality of parenting, the “The Magical Ingredients” for Successful Parenting focus on one’s ‘being-ness;” a powerful interpersonal tool that you already possess within yourself to create the experiences that you yearn for with your children.